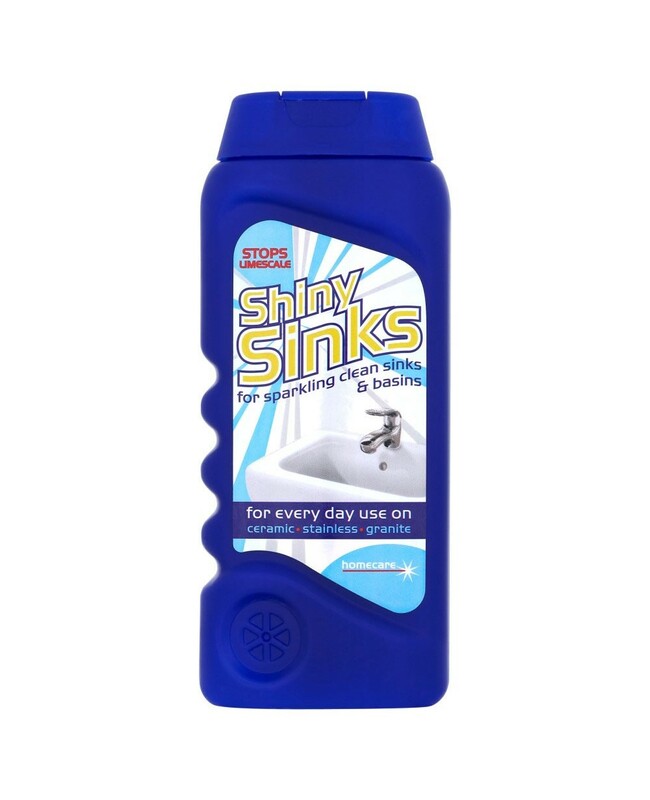 Shiny Sinks Is An Effective Solution That Works Efficiently & Effectively To Revive, Renew, Restore & Prevent Limescale Build up In Your Sink! Try Today And See Visible Improvements! Ideal For Use On: Stainless Steel Sinks, Acrylic Baths, Chrome, Copper, Brass. Perfect For Eliminating: Tough Dirt, Soap Scum, Stains, Hard-water Marks. Use Regularly For Optimum Results! If You Use Regularly, Shiny Sinks Will Prevent Limescale From Building Up.